Product recalls are an unfortunately common occurrence. You’ve probably seen some lately: tainted romaine lettuce, certain model cars with defective airbags, or perhaps a child’s toy recalled for choking hazards. Typically, local or national news or authorized websites provide consumers with serial numbers to check against your product to see if it’s affected, and what steps you can take next. While we are cognizant to register our baby products and VIN numbers online and to keep records of the products we buy and the warranties they offer, it is rare that we take the time to document and catalog the products and devices that we have inserted into our bodies. 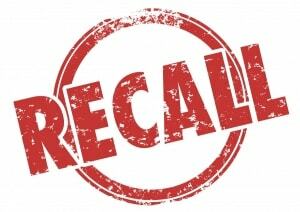 But what happens if a medical implant—a device that’s actually placed in your body—is recalled? Is there a serial number or other means of identification? Unfortunately, in the cases of recalled or defective medical devices, it’s not always so simple. There was no formal system of tracking medical devices in the United States until 2007, when Congress mandated the unique device identifier (UDI) system of serial numbers. Think of the UDI system as similar to the vehicle identification number (VIN) on your car. Over a decade after implementation of this law, however, the FDA is still developing guidelines and rules on how to roll out this system. Industry compliance is slow-going and has been met with some criticism. UDIs are not listed in insurance claims, so it can be a difficult, and sometimes impossible, task to match a patient with a recalled device. Because UDI codes can be as long as 75 characters, critics of the UDI system say these codes are just too long and costly to insert into insurance claims. They say the costs of investing in bar code scanners and developing a process to get data to claimants are both cost- and time-prohibitive. 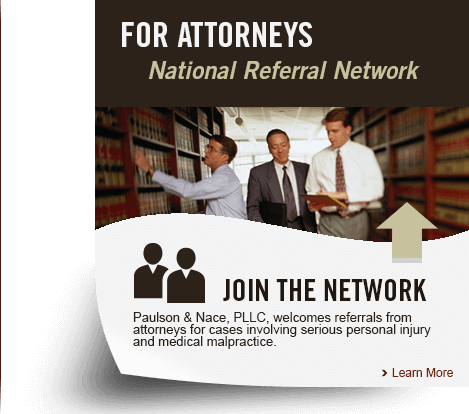 Currently, claims adjusters do the research for recalled devices by hand, or leave the responsibility up to the patient. Advocates of UDI, however, point out that Medicare recently had to spend $1.5 billion over 10 years on surgeries and care for patients affected by a recalled heart device. One way or another, recalls are going to cost money. Proponents also believe that including the UDI numbers on insurance forms can reduce Medicare financial waste, as well as allow replacement of recalled devices before they become an expensive or deadly epidemic. They also point out that critics of UDI labels may be wary of increased malpractice lawsuits, as UDIs could provide an extra source of data to medical malpractice attorneys. If you’re the recipient of a medical implant, your safety as a patient should always be priority one. An easily tracked implant can help identify a defective or recalled device before the issue becomes widespread and possible more dangerous or deadly. You have the right to accountability and transparency as a consumer and as a patient. You also have a right to know the make, model, and serial number of the product and device put inside your body, so do not be afraid to ask for it and to catalog it just as you would your baby products. Without proper tracking in place, you may not know your medical device is a hazard to your health until you’ve already suffered an injury.